Air and Space Law has become one of the most important branches of law in the recent period of time. The scientific and technological developments in the field of air and space are so rapid that they have posed challenge to the legal fraternity, since the first and second half of the twentieth century respectively. While the legal response to air technology has been primarily at the municipal level, despite a number of conventions at the international level, the legal response to space technology has been primarily at the international level, though now it is percolating into the municipal sphere. At present, the significance of Air Law and Space Law needs no explanation due to indispensible uses of airspace and outer space for the purposes ranging from commercial to military. The increasing volume of disputes in the field of air and space has also resulted in the manifold increase in the legal practitioners working in the field of air and space at developed countries like United States, United Kingdom, Canada, Russia, Japan, France, Australia etc. 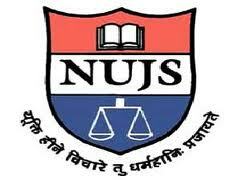 Keeping this in mind, the Post Graduate Diploma in Air and Space Law (PGDASL) is a unique initiative undertaken at NUJS, Kolkata. The Course is designed to provide an in-depth understanding of Air Law and Space Law along with some fundamental principles of public international law related to air and space. The course would be extremely useful to the candidates having wide-ranging background, from legal to scientific. Qualification required: Bachelor degree in any discipline from a recognized University. The course is also open to those candidates who are in the final year of Bachelor degree. However, the granting of the Degree (PGDASL) is contingent upon the successful completion of the Bachelor degree by the candidate. Next Article CLAT-2013 Results Out for LLB & LLM. Download From LawLex.